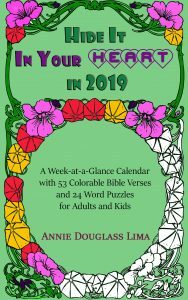 This 2019 calendar features a Bible verse for each week in creative fonts that can be colored in. A wide variety of holidays are listed, both traditional and unusual. (Do you know when Appreciate a Dragon Day is? How about Lost Sock Memorial Day?) You’ll have plenty of room to record your activities and appointments in the section for each day and week. After every month, you’ll find word puzzles featuring key words from that month’s scriptures and holidays. Prepare for a year full of coloring and fun that will help you hide God’s Word in your heart in 2019 without even trying! Special Introductory Pricing! This coloring book contains 52 images of detailed patterns for colorists of all skill levels. Use colored pencils, fine markers or gel pens to color these pictures and feel your stress disappear! The designs are printed on one side only, and finished images can be cut out for framing or display. Most designs fill the page completely, giving you hour after hour of coloring pleasure. 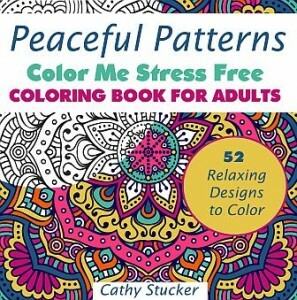 Watch for more books in the Color Me Stress Free series!